Towels shouldn’t get the opportunity to have a fabulous time. Keep your toes comfortable with Coil by Kontour. Curl boot warmers utilize our electric module towel hotter innovation to warmth boots and shoes and include an additional component of warmth to your life when the climate gets cold. A definitive extravagance in the wintertime, boot warmers offer an affair not to be missed. 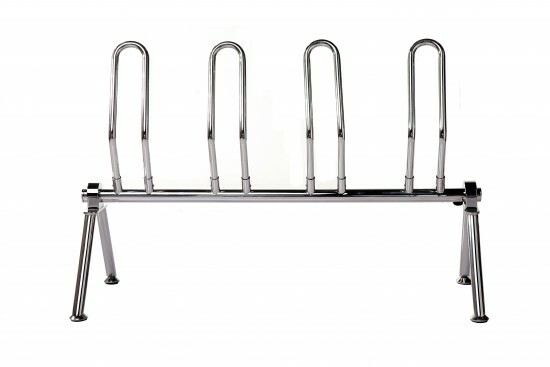 Curl includes a trendy chrome complete and minimal size to fit cozily inside any storage room. Kontour – the new, sleek and luxurious line of affordable towel warmer. With an inspiring range of modern and classic towel warmers, Kontour sets a new benchmark in performance and convenience. Kontour Towel Warmers offer superb quality and exceptional value.The Kontour range is meticulously crafted to a very high level of quality, and features a durable stainless steel construction that is mirror polished and hand buffed for an exceptional finish. The end result is very much like chrome, yet won’t chip or peel and provides towel warmers that will keep their good looks for many years to come.Heated towel warmers have become an essential part of any modern bathroom. They offer the convenience of not only drying wet towels, but also giving you the luxury of fluffy, sumptuous warm towels all year round. The varied selection offers you a choice of designer towel warmers for any décor. Each has been created for a specific look and feel to suit the interior design needs of architects, interior designers and stylish individuals who appreciate sophistication and substance. 110V Electric Plug-In: These Electric Plug-In models incorporate a 5’ power cord and can be simply plugged into any standard household plug-in. Illuminated On / Off Switch: Kontour’s concealed On / Off switch is the most elegant of its kind, and will guarantee warm towels when you need them. Self-Leveling Feet: Gone are the days of wobbly unstable towel warmers. All Kontour Freestanding Towel Warmers incorporate self-leveling feet. For those who appreciate the convenience of an easily movable heated towel warmer with the universal appeal of clean contemporary design. This smart looking free-standing mobile unit features discreet wiring and 8 stainless steel rails for luxurious warm towels. The end result is refreshingly modern styling that is easy to clean and maintain. With an inspiring range of modern and classic towel warmers, Kontour sets a new benchmark in performance and convenience. Kontour Towel Warmers offer superb quality and exceptional value. Heated towel warmers have become an essential part of any modern bathroom. They offer the convenience of not only drying wet towels, but also giving you the luxury of uffy, sumptuous warm towels all year round. The varied selection offers you a choice of designer towel warmers for any décor. c look and feel to suit the interior design needs of architects, interior designers and stylish individuals who appreciate sophistication and substance. The Kontour range is meticulously crafted to a very high level of quality, and features a durable stainless steel construction that is mirror polished and hand buffed for an exceptional nish. Manufactured with a dry wire heating element all products satisfy the stringent requirements of CSA approval. The end result is very much like chrome, yet won’t chip or peel and provides towel warmers that will keep their good looks for many years to come. coil freestanding boot warmer with shipping to all across Canada and the USA including British Columbia including areas of Richmond, Abbotsford, Coquitlam, Saanich, Kelowna, Delta, Langley Township, Vancouver, Victoria, Kelowna, Abbotsford, Kamloops, Nanaimo, Chilliwack, Prince George, Vernon, Courtenay and muncipalities of Surrey and Burnaby. coil freestanding boot warmer add class and style to your Bathroom. We also ship to Newfoundland and Labrador including Gander, Happy Valley – Goose Bay, Torbay, Labrador City, Torbay, Labrador City, St. John’s, Conception Bay South, Mount Pearl, Corner Brook, Paradise and Grand Falls-Windsor. coil freestanding boot warmer from Bliss Bath & Kitchen. We also serve Nova Scotia including Counties of Cumberland, Yarmouth, Annapolis, Antigonish, Digby, Inverness, Shelburne, Queens, Richmond County, Guysborough, Victoria County Guysborough, Victoria County Halifax, Cape Breton, Kings County, Colchester, Lunenburg, Pictou and Hants. Prince Edward Island communities of Kensington, Souris, Alberton, Tignish, Georgetown Charlottetown, Summerside, Stratford, Cornwall and Montague. coil freestanding boot warmer by ICO Canada.